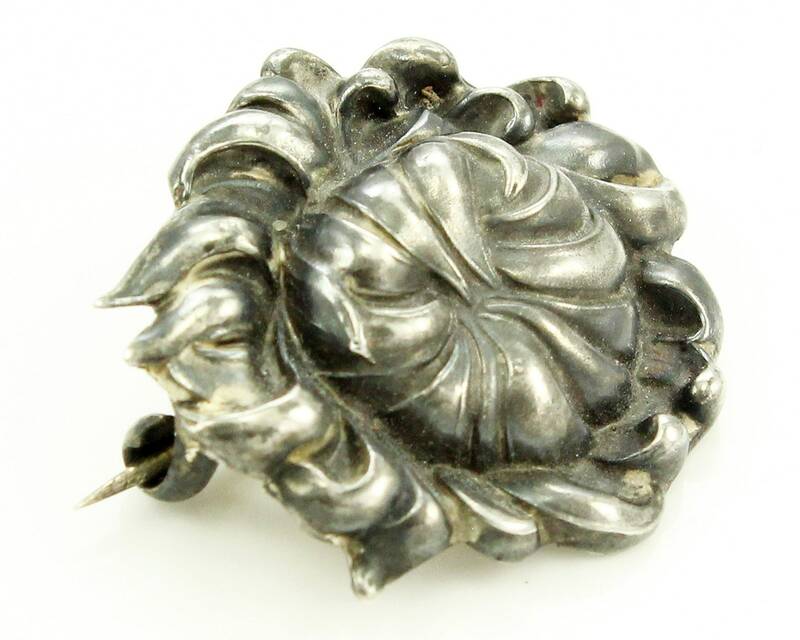 Antique Art Nouveau Unger Bros. Floral Repousse Pin. 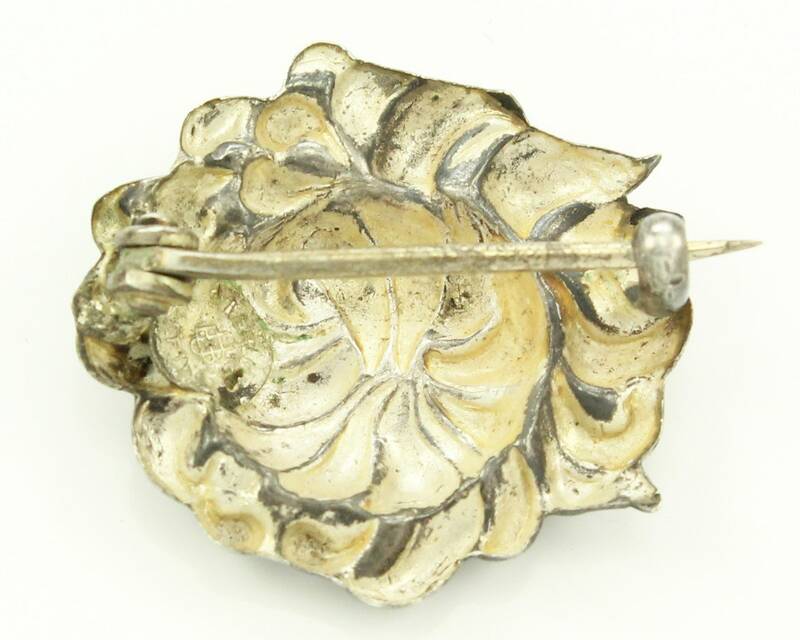 This little brooch is a stamped mum or peony blossom with the characteristic artistry of the Unger Brothers. 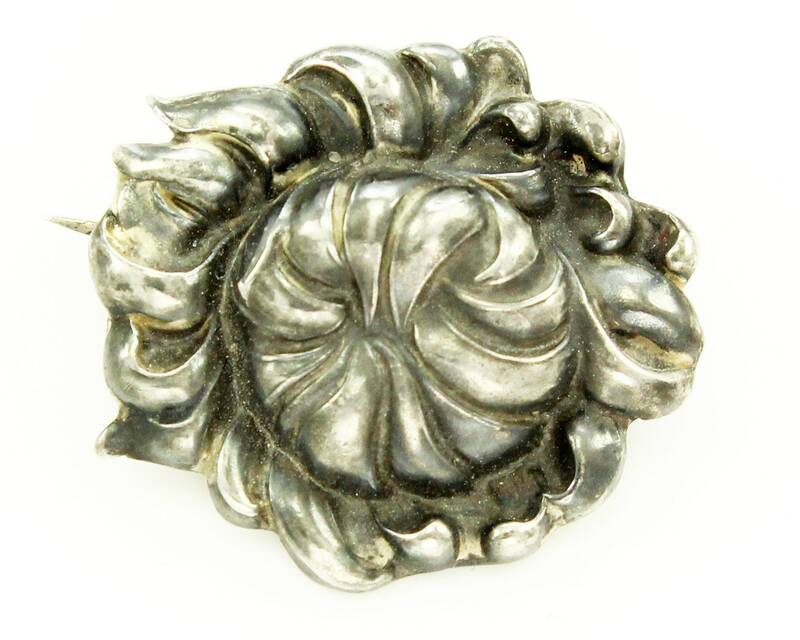 It is finished with a C clasp and was made about 1900. HALLMARK/HISTORY: A round plaque is attached to the back reading 925 Fine Sterling with entwined UB of Unger Bros. Made in Newark, NJ. CONDITION: Very Good Vintage Condition with some lovely patina.